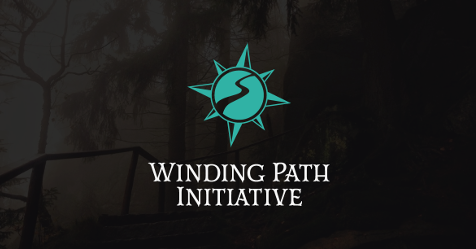 The Winding Path Initiative is a LARP Social Club focused on promoting and supporting Parlor LARPs. Currently, we’re running World of Darkness games as part of By Night Studios’s Blood & Betrayal Chronicle as well as supporting Chapters in running Parlor LARPs in a variety of themes and genres. Our focus is on high-quality, immersive games as part of a friendly and welcoming community. If you’re currently part of an independent World of Darkness troupe game, the Blood & Betrayal Chronicle gives you the opportunity to join a networked World of Darkness Chronicle which supports collaborative narratives and unified Convention games. Join the Winding Path Initiative if you’d like the support and networking a multi-genre Parlor Larp club can provide. If you’re currently a member of a networked World of Darkness game, we welcome you to inquire about how your organization can become a partner in the Blood & Betrayal Chronicle. In addition to our partnership with the Blood & Betrayal Chronicle, we have several exciting projects in the works which will allow players a chance to be part of a networked organization while exploring new worlds, settings, and themes. Be on the lookout as we release new information about these projects in the months to come, and subscribe to our announcement list if you’d like to stay updated.